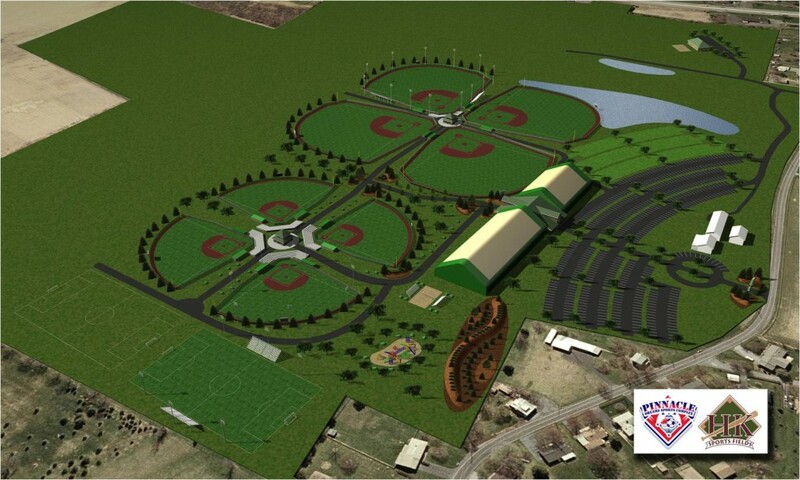 H&K Sports Fields has been hired by the representatives for Pinnacle Dreams Sports Complex of Perry Township in Berks County, PA to assist in the development of a state-of-the-art championship quality, multi-sport indoor and outdoor complex. Perry Township, Berks County, PA, April 1, 2009…Tobyn J. Wysocki, President and CEO of Pinnacle Dreams Sports Complex (“Pinnacle Dreams”), announced today plans to build a state-of-the-art, championship quality, multi-sport indoor and outdoor complex in Perry Township, Berks County, Pennsylvania. Pinnacle Dreams anticipates that the complex will have four full-size baseball fields and four full-size softball fields, two full-size soccer fields that will be able to support football, lacrosse, field hockey and rugby events as well, and an 80,000 square foot indoor facility for indoor soccer, lacrosse, field hockey, basketball, volleyball, wrestling, off-season baseball and softball training, and a fitness center. At least half of the baseball and softball fields are expected to have lights, and both of the soccer fields, in addition to having lights, are also expected to be turf fields. A concept drawing of the anticipated complex is shown below.